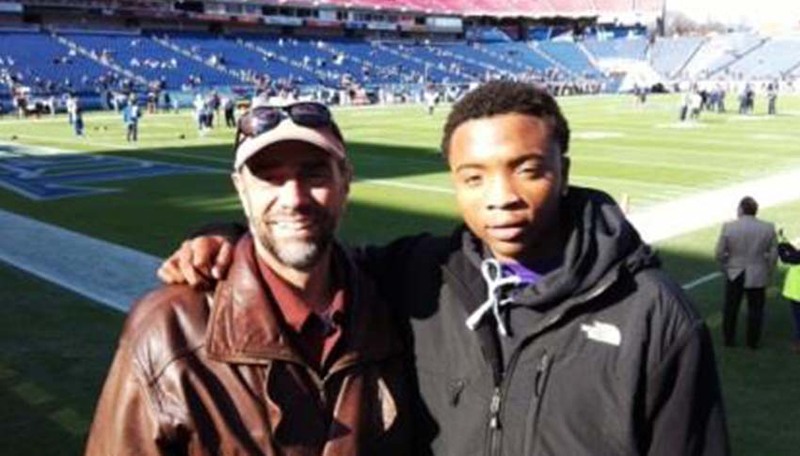 Tennessee’s Big Brother of the Year Ken Miller and his Little Brother Deonte have celebrated seven years together in a community-based match with Big Brothers Big Sisters of East Tennessee. Their friendship has become not only more than either expected, but also serves as an excellent representation of the positive impact the Big Brothers Big Sisters program has on children in communities across the United States. Ken and Deonte were matched in 2007, when Deonte was ten years old. Ken and Deonte were matched in 2007, when Deonte was ten years old. Deonte had grown up in a family of all women: a sister, mother, grandmother and great-grandmother. His mother Shana recognized that Deonte needed a positive male role model in his life, so she signed him up with Big Brothers Big Sisters of East Tennessee, where he eventually met Ken. Ken and Deonte often spent the early years of their match going to ballgames, watching movies, woodworking or cooking. They have also seen their fair share of sports, attending a number of University of Tennessee games, and even a Tennessee Titans NFL game! While enjoying all those activities, both Ken and Deonte placed plenty of focus on Deonte’s academics, preparing him for college. Ken and Deonte’s remarkable growth as a Big Brother-Little Brother match demonstrates Ken’s understanding of his Little Brother through each phase of his life and his interests. “(This match) is the best thing to ever happen to Deonte,” says his mother Shana. Ken has stood by Deonte through good and bad times, including during what he describes as an exceptionally meaningful day: the day Deonte first met his grandfather in 2007.